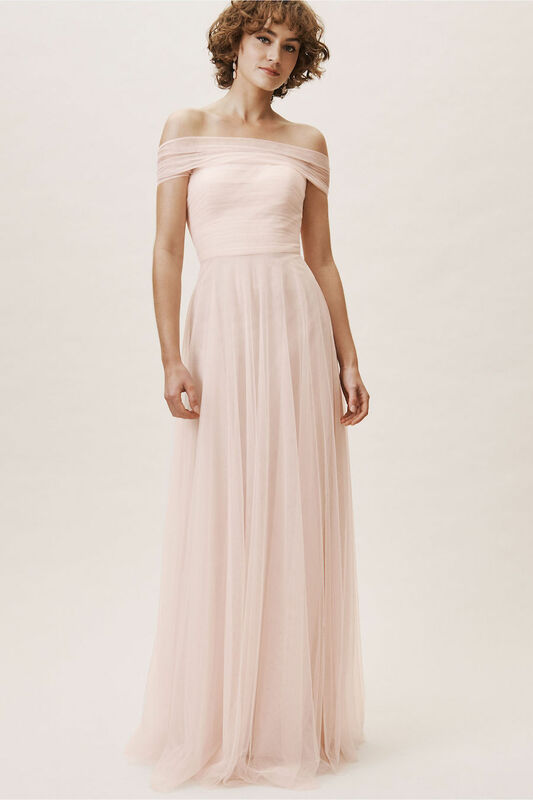 The new spring gowns from BHLDN are finally here! 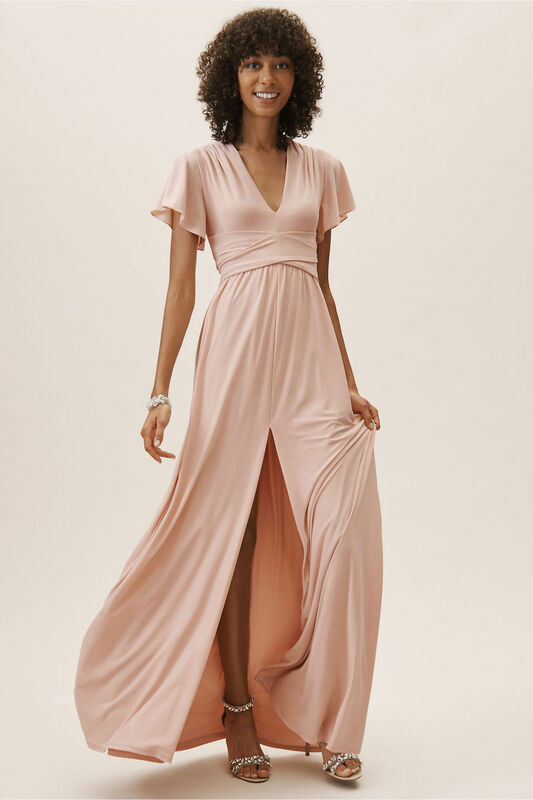 Let this stylish newness be your guide to finding the perfect gown and bridesmaid dresses to make your wedding the best day ever. 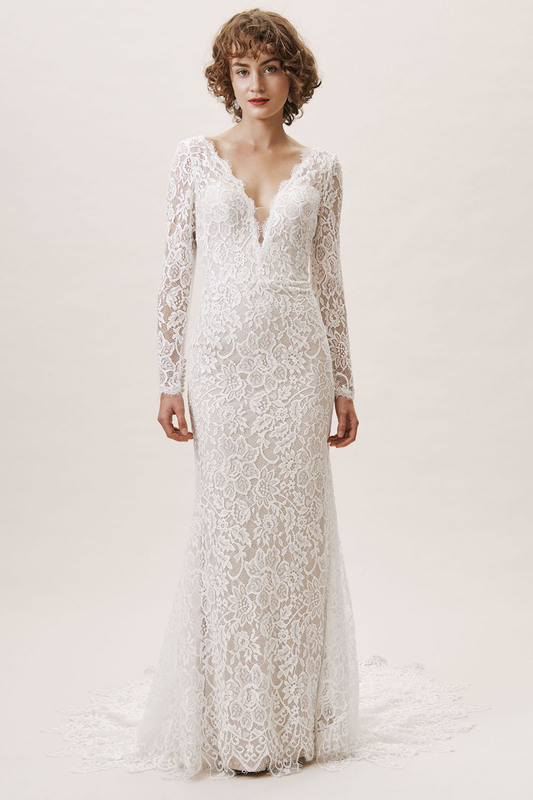 Fresh, elegant and seriously chic, these collections won’t disappoint. 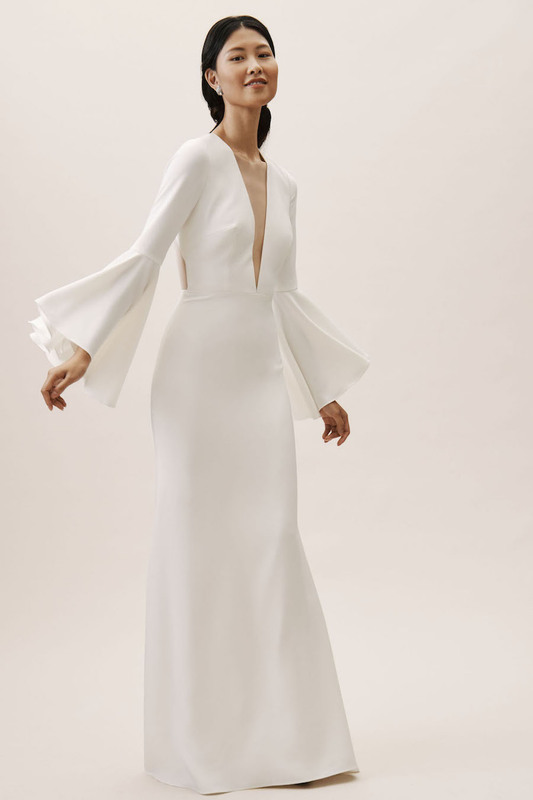 Get inspired by 25 new bridal gowns and separates, featuring our favorite details like delicate beading, plunging necklines, eye-catching lace, feminine sleeve options and more. 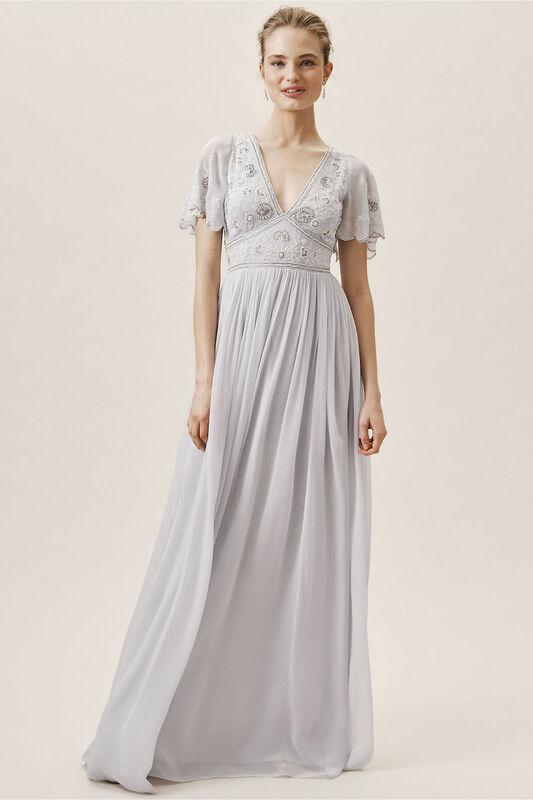 You’ll swoon over the intricate romantic embroidery, with tonal color to add dimension, plus spring gowns with volume but maintain a lightweight feel. 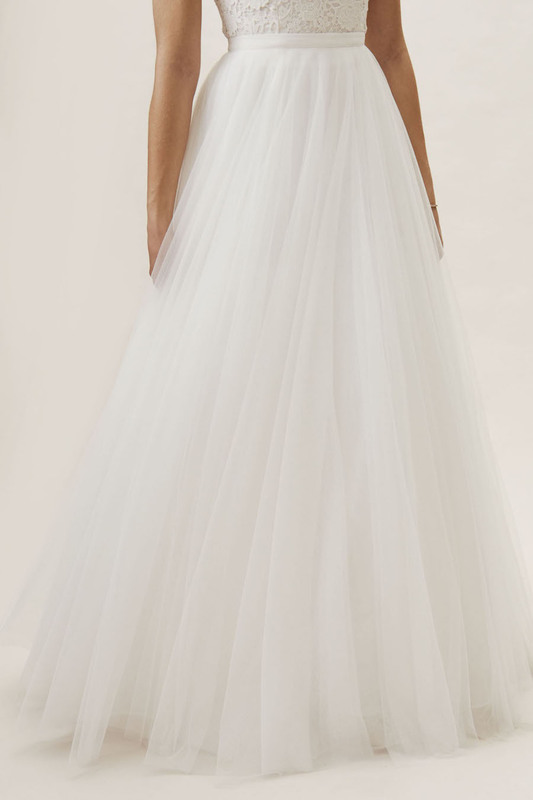 These BHLDN wedding dresses will lead you back into dazzling classics — ball gowns, higher necklines and brighter whites. 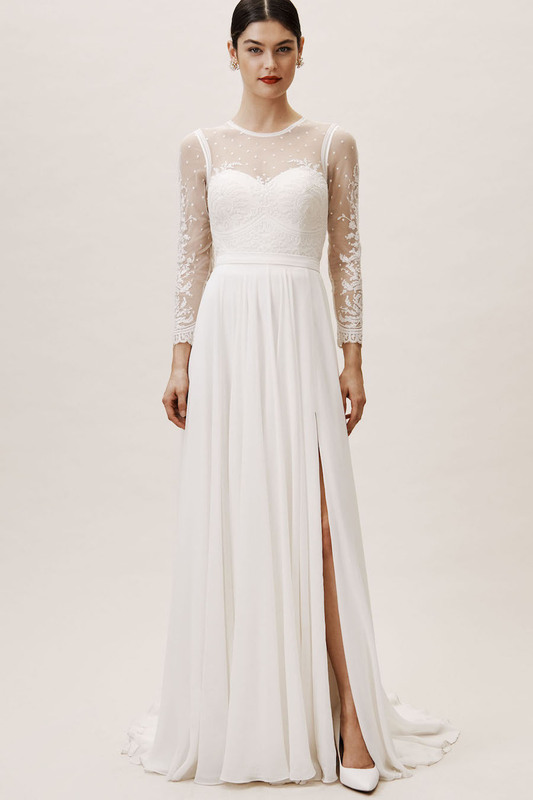 We’re even fangirling over the bridal party pieces! 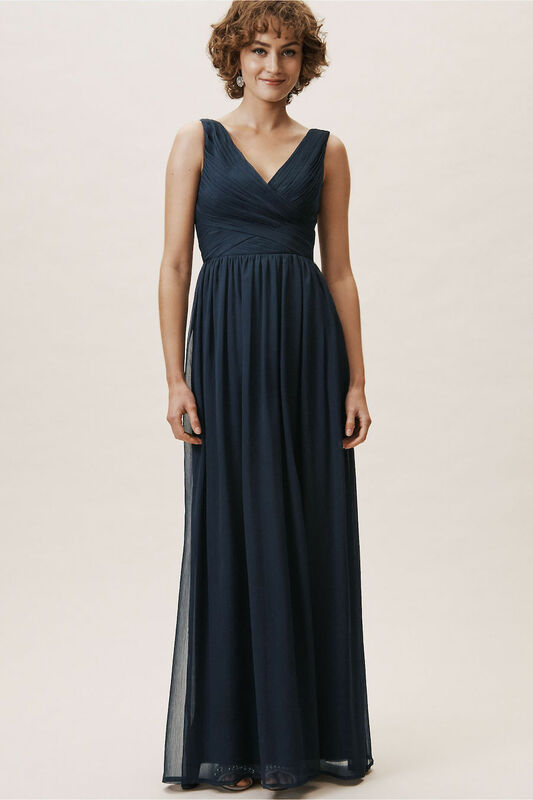 The mix-and-match bridesmaid gowns will steal the show in the best way, showcasing the top spring color palettes with blushes and blues. 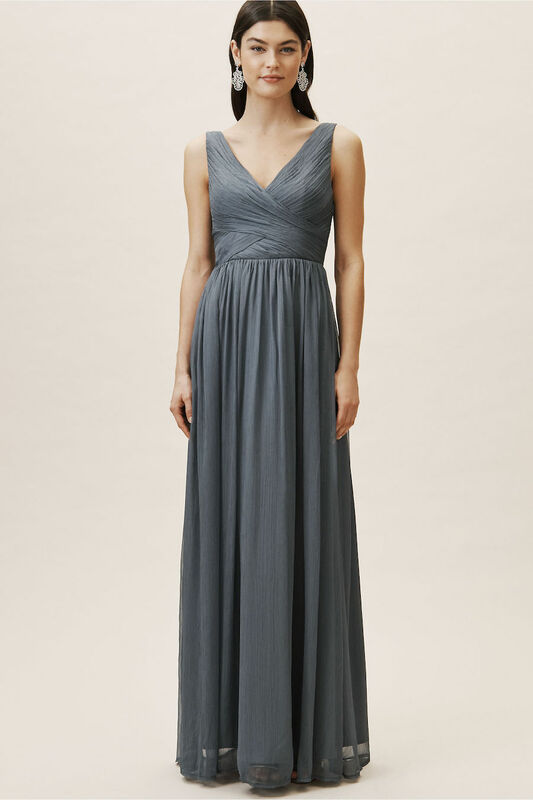 Scroll down for all the elegance and shop online or book an appointment at a store near you! Cheers to the newly engaged! 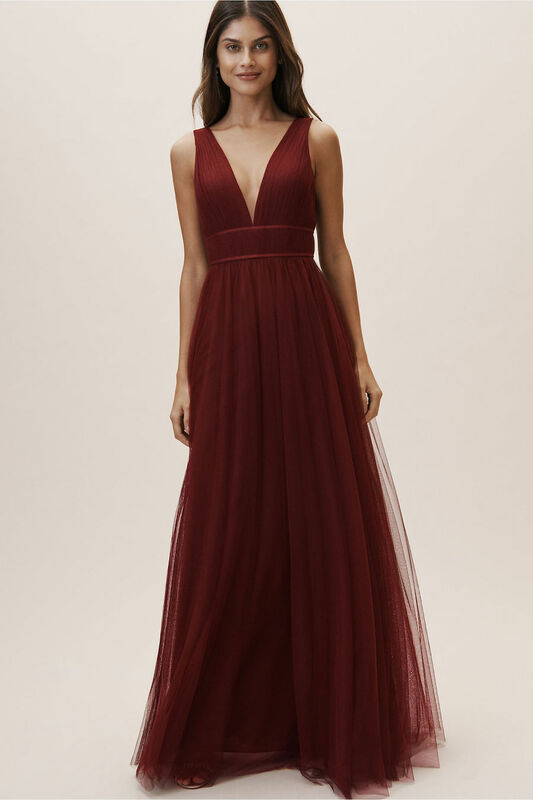 BHLDN bridesmaids dresses are here to help you achieve the best day ever in 2019 through creative and inspiring designs. 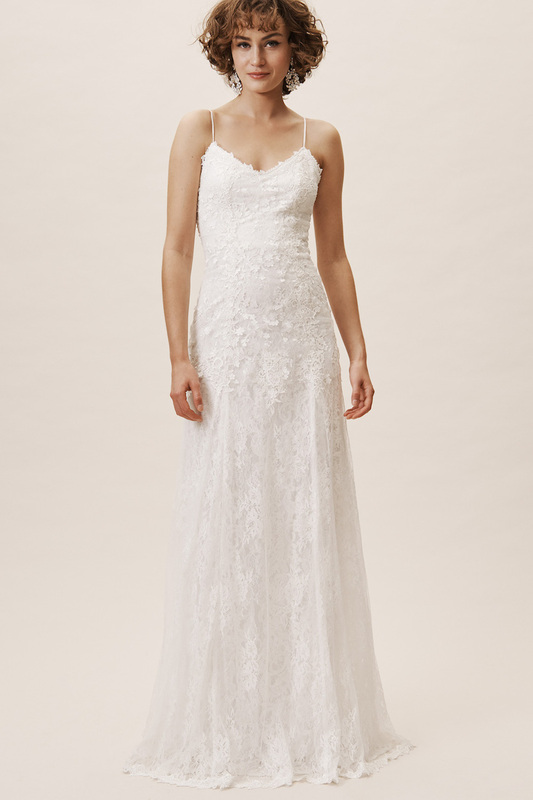 Try on these pretty gowns and fall in love! 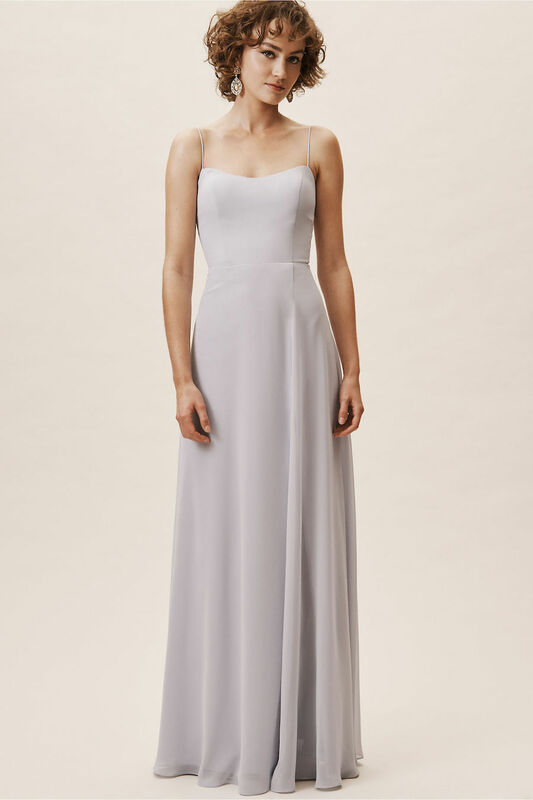 These fresh colors and new styles will simply take your breath away! 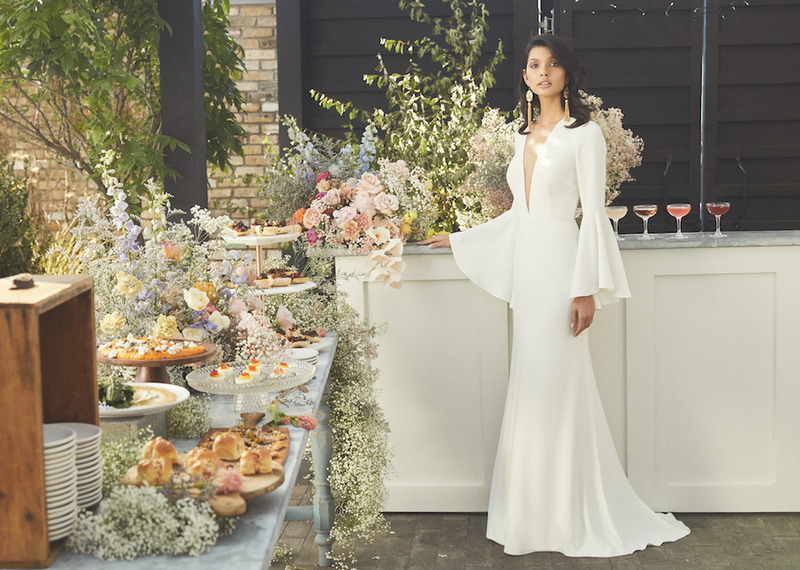 BHLDN will have you achieve the ultimate squad goals for 2019. 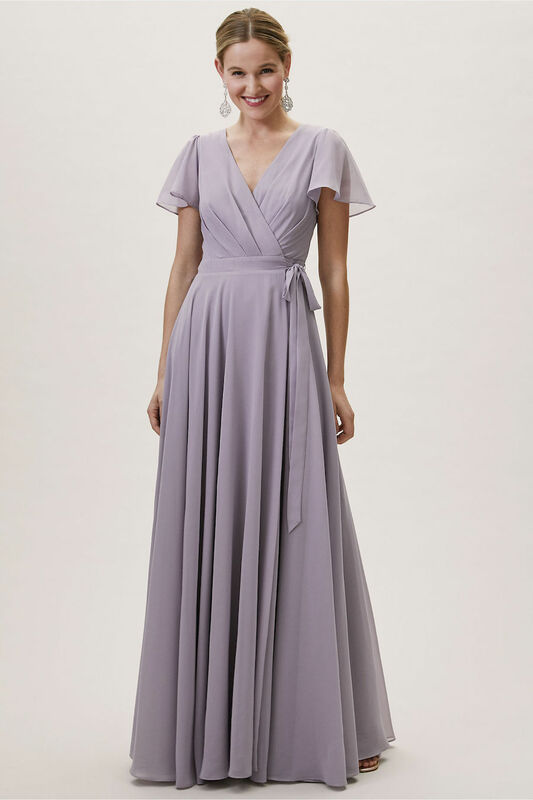 Let’s all take a moment to appreciate this classic brand’s wear-again, confidence-boosting bridesmaid dresses. Feeling inspired yet? 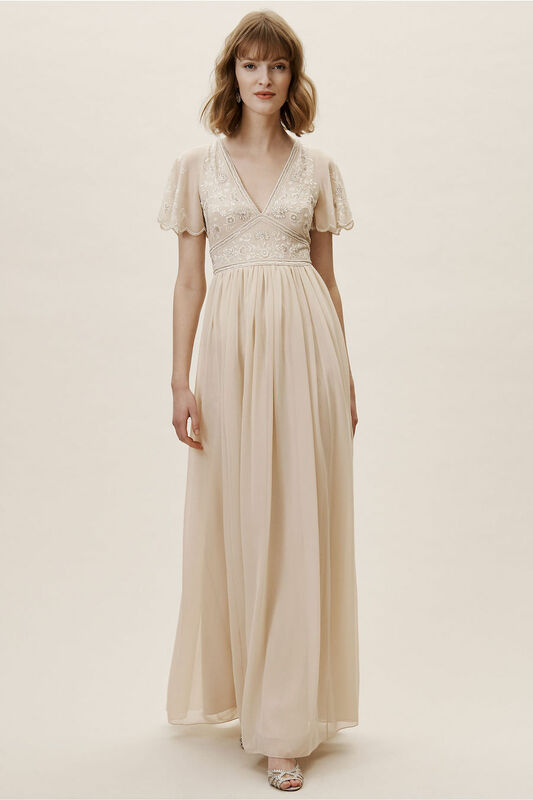 This ultimate guide of BHLDN wedding dresses is the perfect way to start wedding planning off right, whether you shop online or book an appointment in store!